Balay Daco. 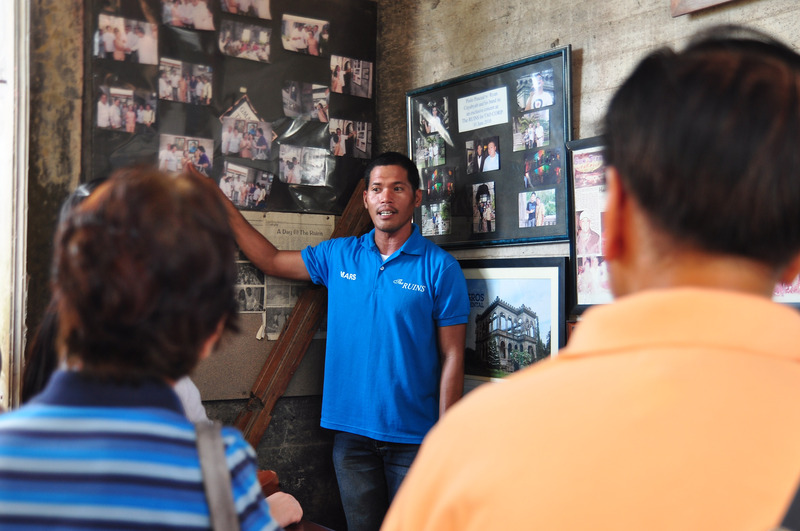 Simento nga Balay. 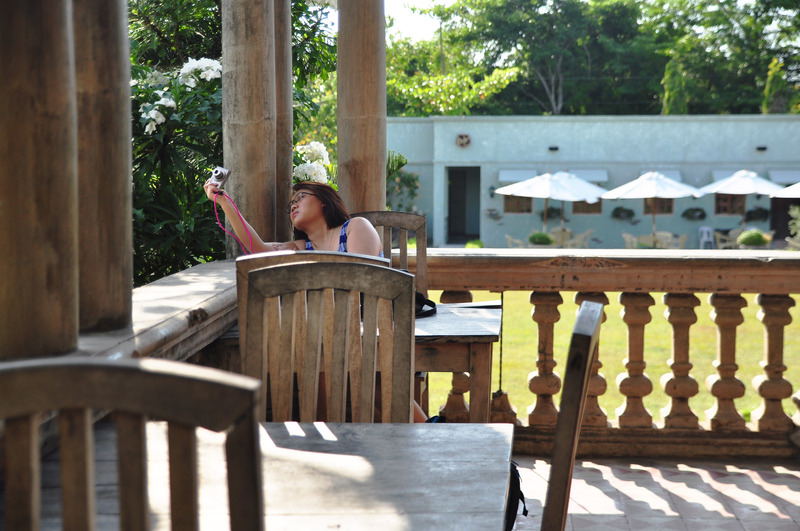 Balay ni Anoy. 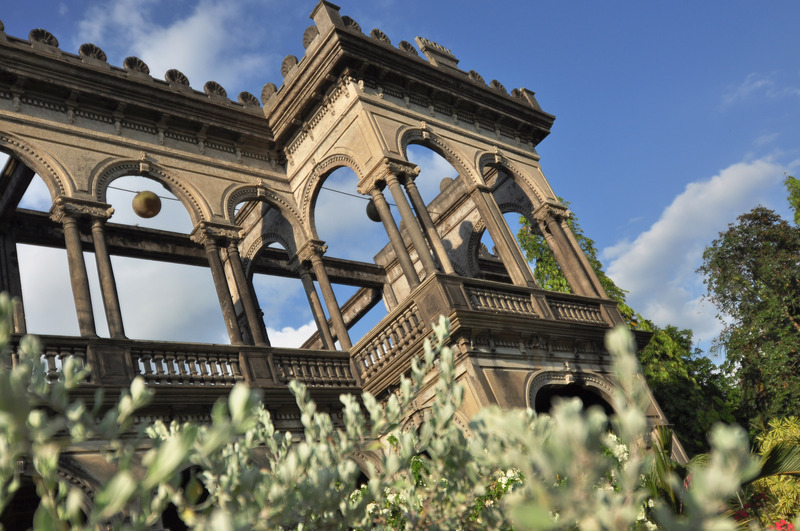 Lacson Mansion. Mansyon. Palasyo. I thought I would be writing about its history. Or about the tragic love story of a sugar baron who constructed it in the 1900s for his wife, who passed away before its completion. I was also trying to envision the burning of the house – a grand mansion made of sturdy narra, tindalo, and kamagong wood consumed in an inferno as its inhabitants looked on helplessly, comforted only by the fact that it would remain untouched by the Japanese conquerors who wished to turn it into a garrison. After our very brief visit though, I decided I wanted to write about Mars. 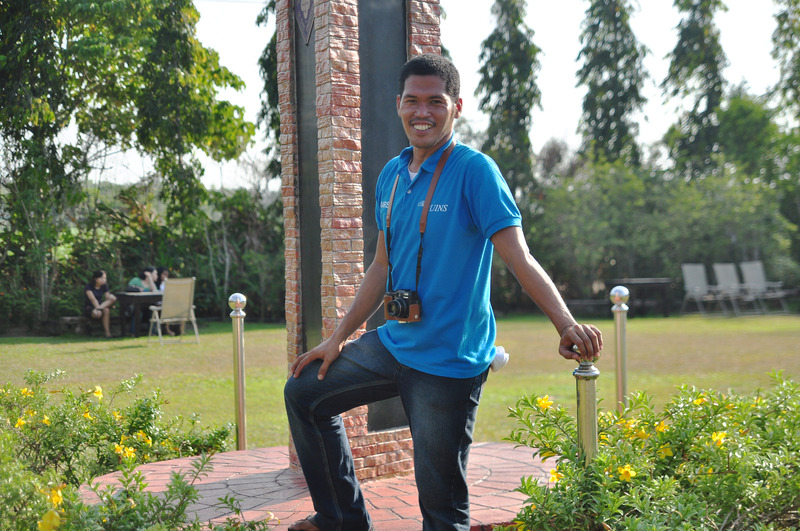 He walked down the steps leading to the main entrance and welcomed us with a wide smile. “Welcome to my mansion,” he cried out in a hoarse voice. 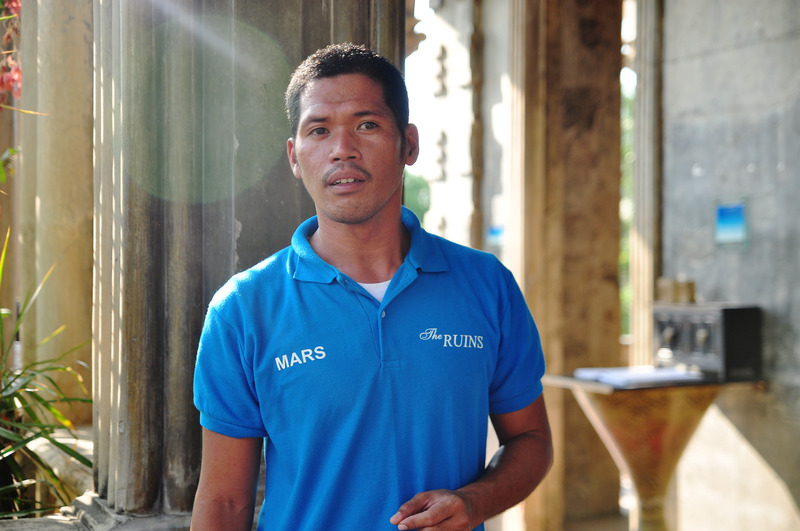 He wore a light blue collared shirt with his name – Mars – printed in white. This is going to be good, I thought. He led us to a corner filled with photographs in rectangular frames and proceeded to talk about the structure’s colorful history. 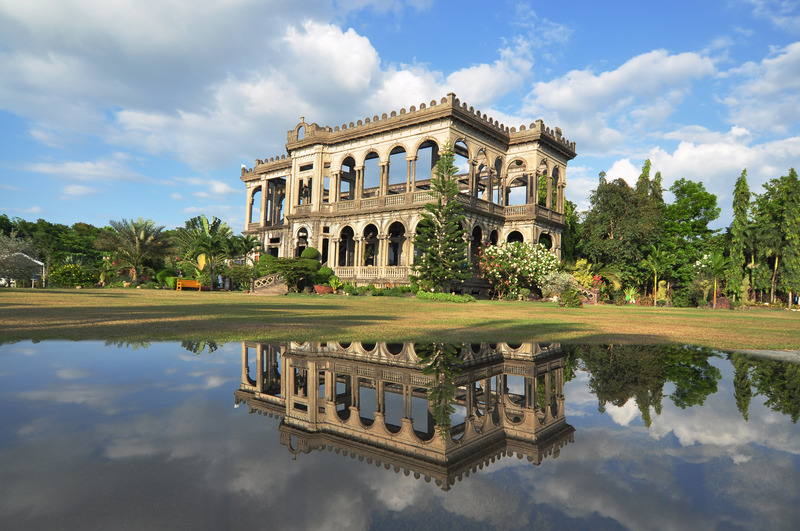 Don Mariano Lacson had dedicated it to his Portuguese wife, Maria Braga, with whom he had ten children (!!). While pregnant with their eleventh child, she had slipped in the bathroom and died before the doctor’s arrival (he couldn’t do anything because well, he arrived four days late -_-). 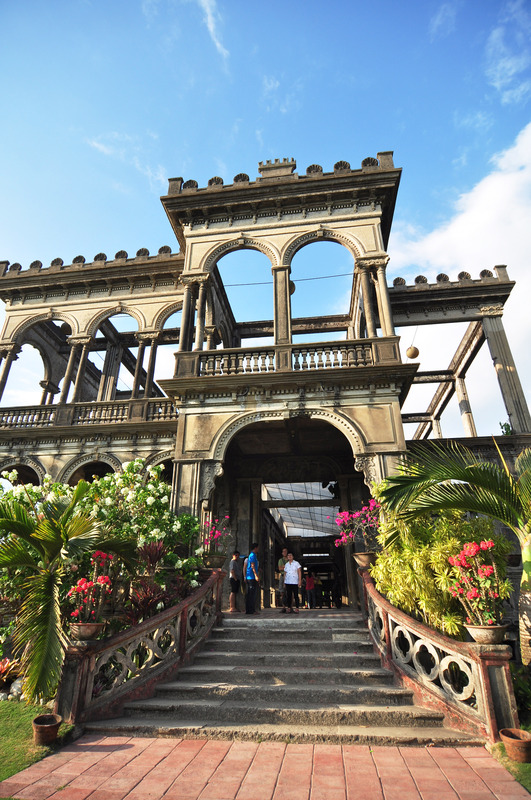 During World War II, the mansion was burned by Filipino guerilla fighters to prevent the Japanese forces from using it. It took three days to burn the wood, but the concrete frames remained intact. It seemed like a waste – there weren’t even photographs of the mansion before the immense barbecue. “Okay lang. At least may trabaho ako (It’s okay. At least [because of the what happened] I have a job),” Mars said brightly, and everyone in the group burst into laughter. This was definitely no ordinary history lesson. He kept things light and enjoyable, punctuating every interesting piece of information with a joke. I knew it was memorized and perfected from years of practice, but it didn’t feel forced. It was very natural, the way he shifted from serious to comedic and then back again. He spewed out historical facts and details, yet we hung unto every word, and our eyes remained glued to him the whole time. He realized that visitors wanted to learn about the story behind this magnificent structure. He read about its history and started adding to the script to make sure that they would enjoy the tour. That’s pretty much how he had developed his talent in speaking. It was also during these tours that he discovered his love for photography. A few weeks later, Mars received a manual, which he studied in earnest. When there were words he could not understand, he had someone translate those. After some time, he was sent an empty box of a camera. Then he was given the charger. After that, the battery. And just when he thought he would get nothing more, he got his camera. By that time, a group of tourists was lingering by our side, waiting for Mars to give them a tour of the ruins. Not wishing to keep him away from work any longer, I asked him one last question: What does it take to become an excellent tour guide? With that, he walked briskly towards his newly arrived guests to welcome them to his mansion.